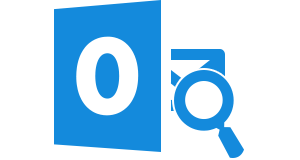 Open & view PST file emails, calendars, contacts, notes, tasks etc. 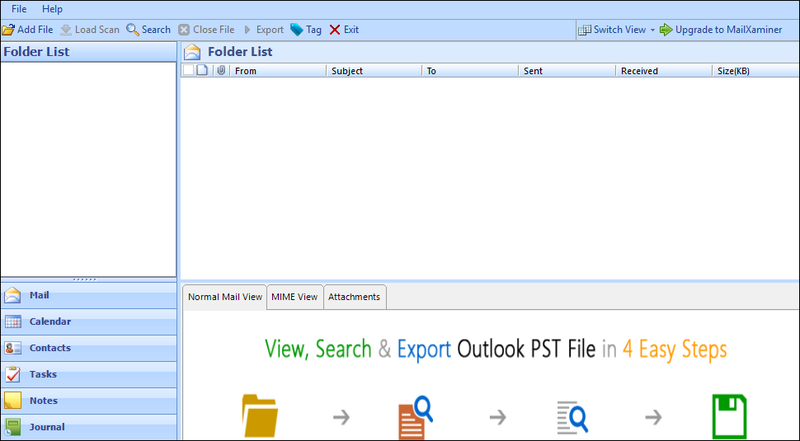 The PST file reader is specially designed to open & view Outlook PST file including, all data items such as emails, notes, calendars, contacts, notes etc., without Microsoft Outlook application. 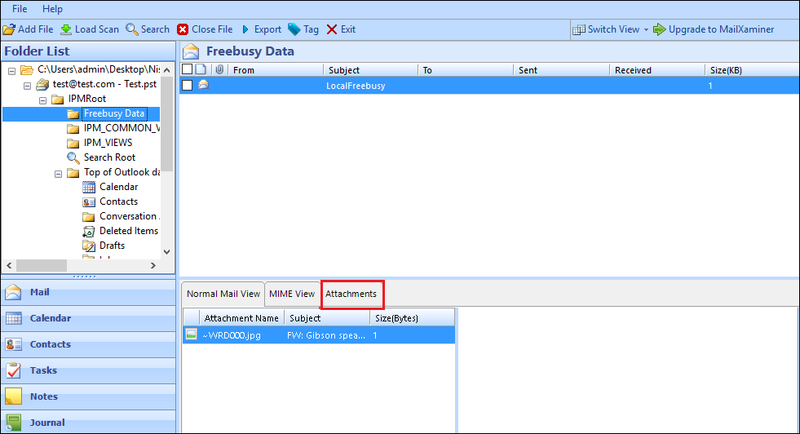 In addition, the tool provides a normal view, property view along with the preview of all associated attachment. Moreover, permits users to view archive.pst without Outlook. The best part about the MS Outlook Data file (.pst) viewer is that it allows users to open & view corrupted PST file also. A user just needs to check the Advance Scan Mode option to recover corrupted file data. In addition, it provides users a complete detailed report analysis of PST file. 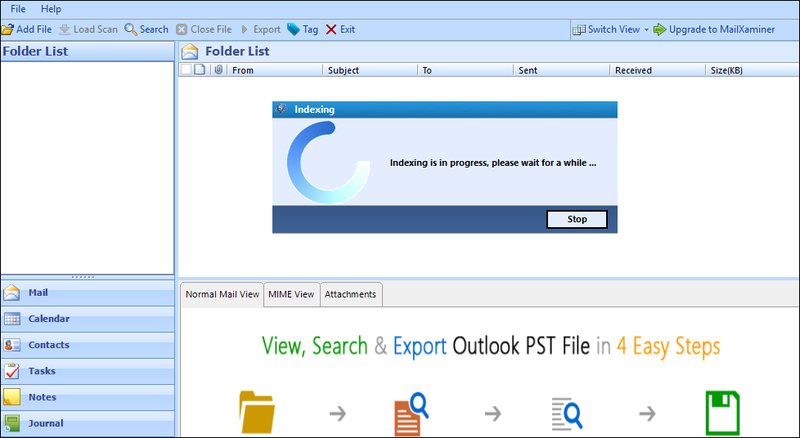 After loading all PST file, the Outlook PST File Viewer first displays the number of items maintained in each folder. 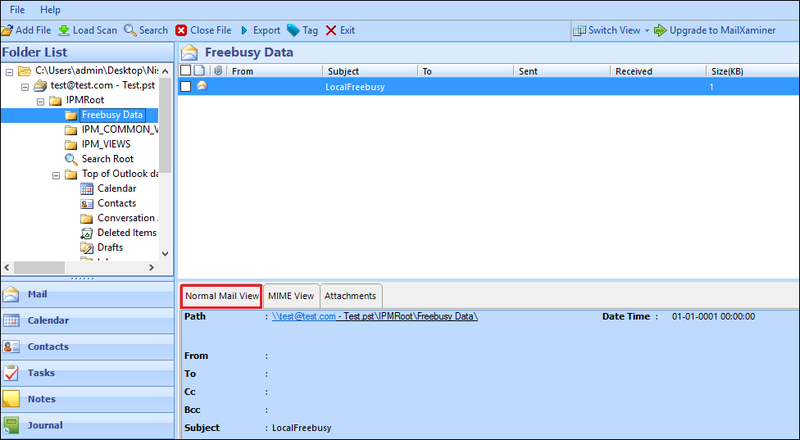 After that, it provides an instant preview of data items of MS Outlook along with properties. One can easily view all items along with all associated attributes such as for emails: to, from, subject, size in KB, sent, received and so on. With the help of this MS Outlook PST File Reader, it becomes easy for a user to the preview of contacts & distribution list stored in Outlook PST file. In addition, it maintains the original formatting because all contacts from PST file display in a similar way as they are in MS Outlook. Moreover, provide a view of contacts without installing MS Outlook. The free PST File Viewer software also provides users an option to view only calendars stored in PST file also. One just needs to go to calendar tab and easily view all the calendars maintained in PST file. 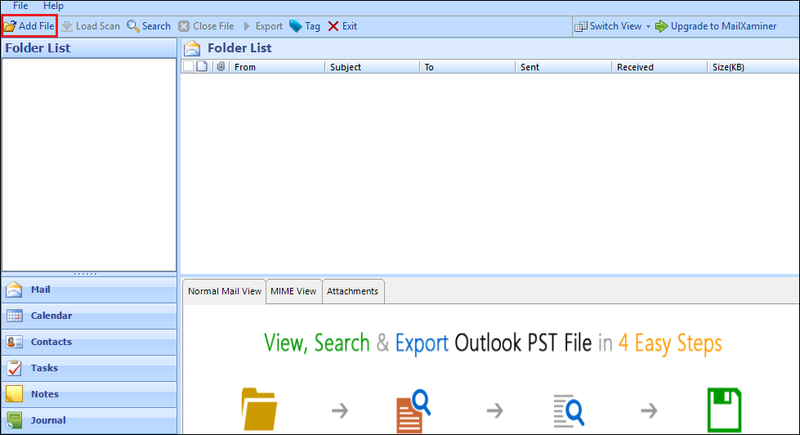 Apart from this, a user can view notes, journals, and tasks stored in PST file using Outlook PST file reader software. Another impressive feature about the software is that it allows users to open Outlook PST files in an optimized way even without displaying any crash report. In addition, it provides users an option to alter the location of Temp folder (of the tool) from the default location to any free drive space that helps in minimizing the main memory consumption. Is it possible to add & view multiple PST file at once using PST viewer software? No, a user is not allowed to view multiple PST file at once, but one can view any number of Outlook PST file easily one after another. Can I open & view corrupted PST file also with the help of MS Outlook PST File viewer? Yes, with the help of this Outlook PST File Viewer, a user can easily open and read corrupted Outlook PST file. One just needs to check the Advance Scan Mode option, the software will scan and provide a view of even damaged PST file. 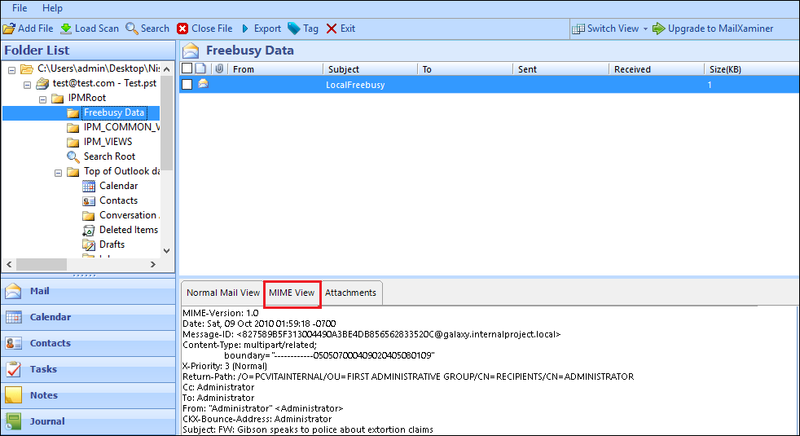 Does the software provide a preview of attachment associated with each email? Yes, the best part about the tool is that it provides an instant preview of all attachment also associated with each email. 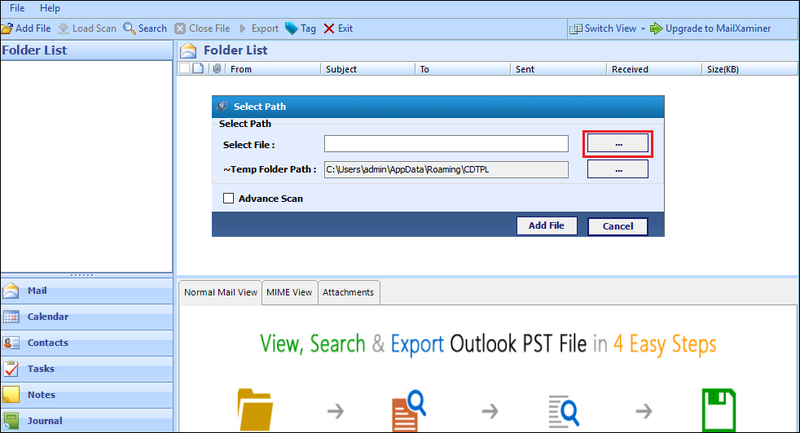 Does the Outlook PST File reader open & view ANSI type PST file? Yes, the software is compatible with all version of MS Outlook. Therefore, easily open & view even ANSI Type PST file. Is this PST File Viewer is completely free from all of type of viruses & malware? Yes, the tool is completely safe and secure. A user can easily download it without any risk of viruses and malware. After adding Outlook data file (.pst), a message will pop-up, click on OK to start the scanning process. "I was continuously looking for a PST file viewer software but it was my luck that I came across Outlook PST opener. 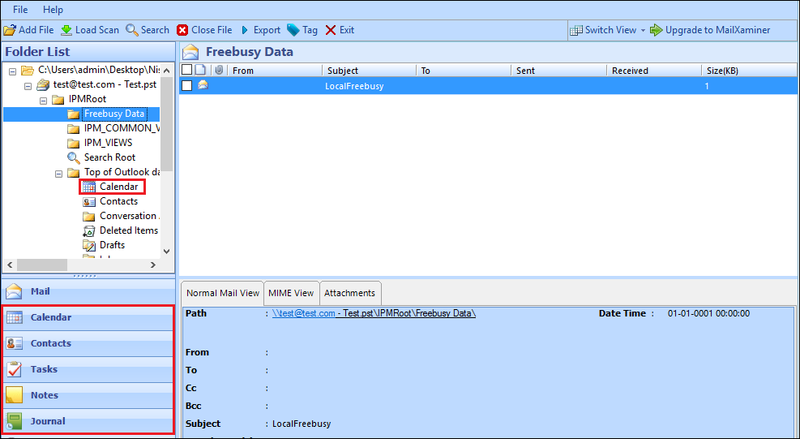 It was really difficult for me to open and view PST file that I had in my pen drive without having Outlook environment. But, when I use this free tool, I was so impressed with the working of the software. The tool provides such an easy user interface that I did not face any difficulty while using it and read PST file in very convenient way." "I must say that Outlook PST file reader is a very fantastic utility. I was amazed at using the features of the software. The viewer spotlessly accesses all email attachments, contacts, emails, calendars, notes, tasks, journal, etc. Thanks to the developer for developing such a great utility for a naive user like me. Great work, hats off."